Stunning Tudor home located in Manor Park. Fully renovated with everything updated and improved to create elegant living spaces inside, while preserving the charm of an English-style Tudor exterior. The gourmet kitchen with exposed wooden beams, granite countertops, stainless steel appliances, chefs gas range and custom wooden cabinets is bathed in natural light from ceiling-high round top tudor window, and features one of the homes three fireplaces. 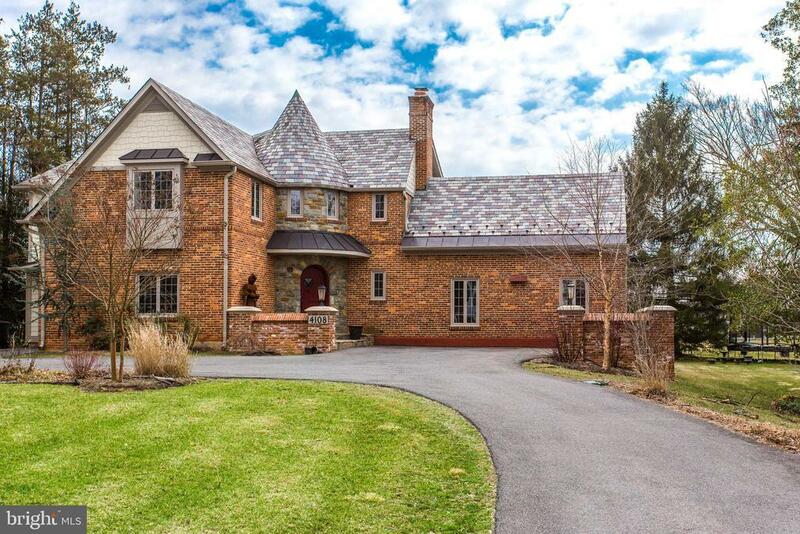 With an impressive amount of space for entertaining inside, three finished levels reach 4, 300 square feet under a beautifully restored slate roof. The new Master Suite has an ensuite bathroom with two separate vanities, glass walk in shower, and separate soaking tub. The suite also includes a covered balcony overlooking the 15th green and 16th tee of Manor Country Club golf course. There is a large, flat, sunny backyard with two covered patios to enjoy the views.